Updated timetable – there really is something for everyone at the Old Bath House! 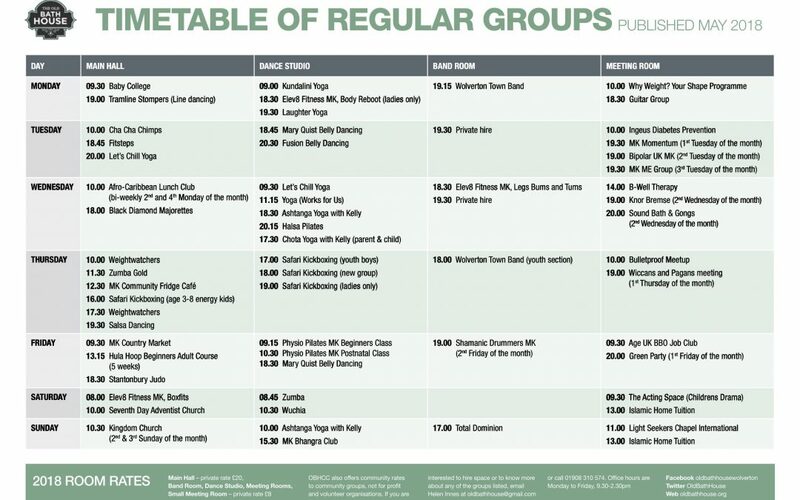 Here’s the latest timetable of all the activities going on regularly at the Old Bath House and Community Centre. Have a look – you might find the perfect group to join this summer!